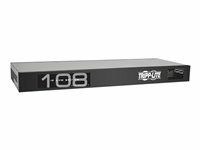 Tripp Lite's B070-016-19-IP KVM Switch gives you a rack-mountable full keyboard, LCD and touchpad in a single console that occupies only 1U of rack space. Easy to install and use, it's the optimal solution for controlling up to 16 computers/servers locally, from across the room, down the street or halfway around the globe on a LAN, WAN or Internet. 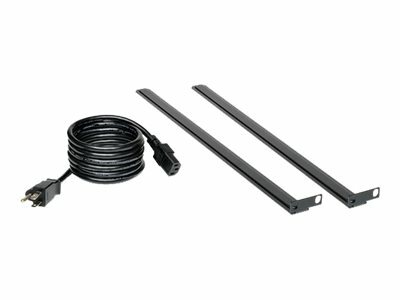 The B070-016-19-IP uses inexpensive, user-supplied Cat5e/6/6a cabling with Server Interface Units so you can control computers/servers located up to 100 ft. away from the switch. This switch features two 10/100 Mbps LAN ports, so if one fails, the other takes over, keeping remote access uninterrupted. 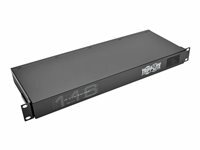 Users can switch easily between the 16 ports using an on-screen display (OSD). 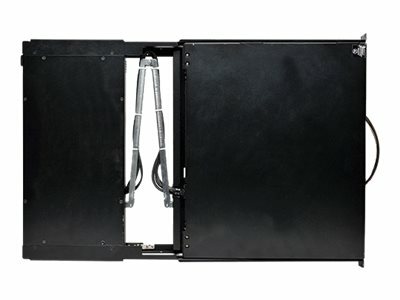 Multi-level password protection prohibits unauthorized users from accessing the connected computers, and a local user and a remote user can be logged on simultaneously. The built-in 19" LCD screen supports video resolutions up to 1366 x 768. Two serial ports allow control of serial-manageable devices such as IP PDUs, firewalls and routers; you can assign individual ports to an IP PDU port to power on/off the server connected to that port. 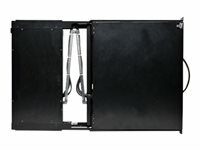 The B070-016-19-IP stores neatly in a rack drawer and pulls out when needed. 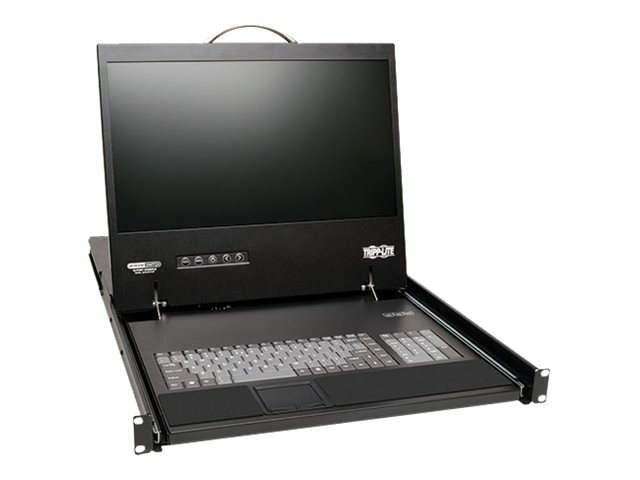 This KVM console is compatible with both Windows and Linux operating systems, and provides remote access using a Windows computer. 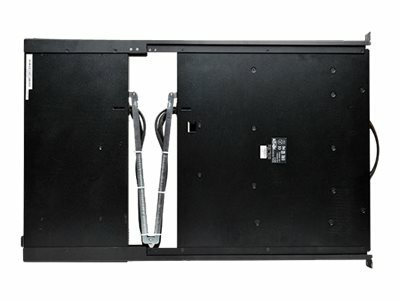 Heavy-duty steel housing stands up to frequent use. 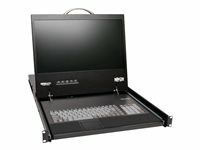 Complies with the Federal Trade Agreements Act (TAA) for GSA Schedule purchases. 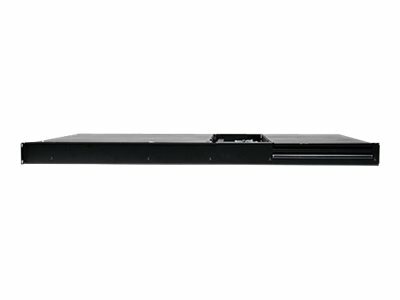 Free NetCommander-AXS Management Software is available for access and control of all of your Tripp Lite NetCommander IP KVM switches (B070 and B072 series). From a single interface, you can access server ports on any of your KVM switches, power cycle or power on/off outlets of IP PDU's, and manage KVM settings. 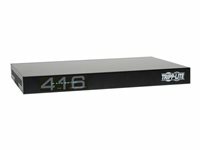 This software can be found on the model support page of the B070-016-19-IP, or via searching NetCommander-AXS on www.tripplite.com.